The Intel SSD DC P4500 series is designed for modern cloud storage solutions such as software-defined and converged infrastructures. 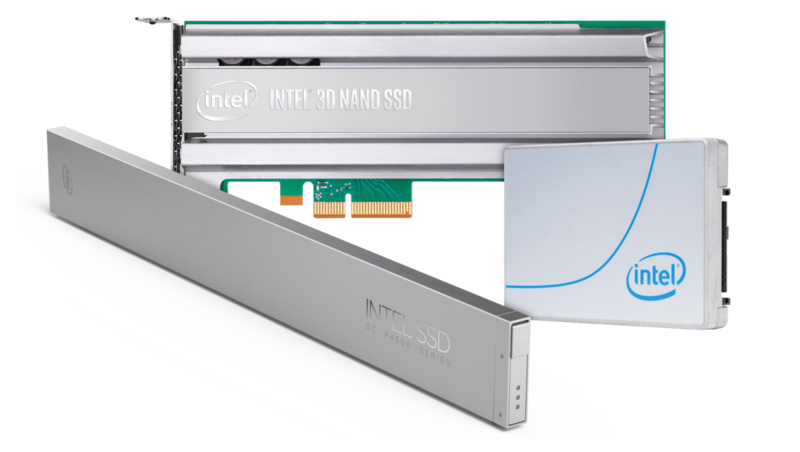 The Intel SSD DC P4500 Series is stacked with a blend of performance, capacity, manageability and reliability to help data centers fast-track their business and meet the overall demands of their digital business. To meet data center’s exacting needs for growing capacity, easy serviceability and thermal efficiency, the DC P4500 is now available in the “ruler” form factor. This new “ruler” form factor further improves service efficiency with support for programmable LEDs to enable indication of more device states; integrated power cycling to enable remote, drive specific reboot; and, an integrated pull latch for optimal front-end servicing. The cloud-inspired Intel SSD DC P4500 is built with an entirely new NVMe* controller, optimised for read intensive workloads and designed to maximise CPU utilisation. With controller support for up to 128 queues, the Intel SSD DC P4500 series helps minimise the risk of idle CPU cores and performs most effectively on Intel platforms with Intel Xeon processors. The queue pair-to-CPU core mapping supports high drive count and also supports multiple SSDs scaling on Intel platforms.